« AVORIAZ DISASTER- no park in Lindarets! 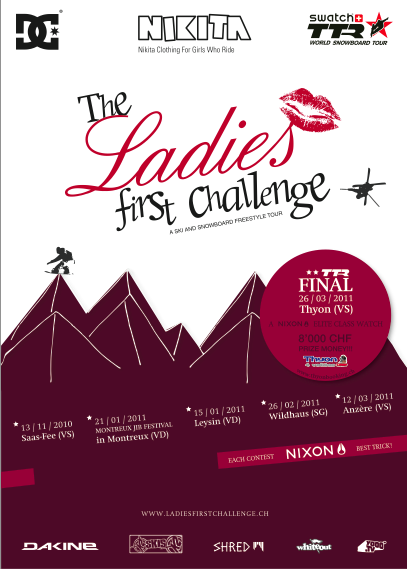 The “Ladies First” Association is proud to present the first edition of the LADIES FIRST CHALLENGE! The LFC is a ski and snowboard freestyle tour only for girls -the first in Europe! 5 slopestyle competitions and 1 jib session will be organize during over winter: Saas-Fee (VS), Montreux (VD), Wildhaus (SG) and Anzère (VS). The Final will take place in Thyon (VS) on March 26. For more information and for the registration click here.